According to professional photographers, the quality of photographs taken these days has improved a lot compared to earlier times. This, as a result, places a huge burden on you to look perfect as each imperfection will be multiplied in these photographs. 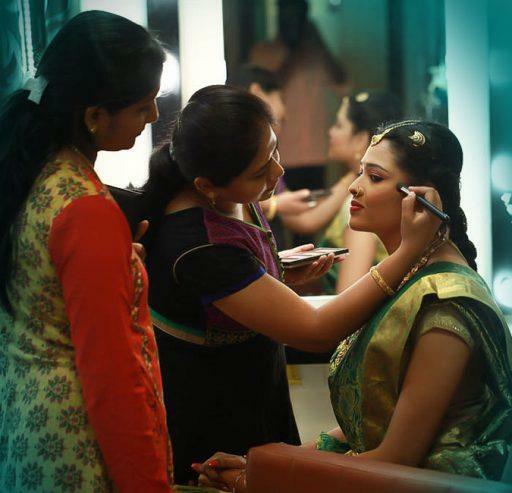 So if you are getting married this season, make sure that you have the best makeup artist in Chennai on hand to help you look perfect for your special day. If you plan on treasuring your wedding album for many years to come, there isn’t a doubt that you would prefer to look beautiful in those pictures. Who better to make you look gorgeous for the special occasion than a fully qualified professional makeup artist? You get to proudly get blown up pictures to display proudly around your home as a reminder of the beautiful day that you married your soulmate. Some makeup products tend to make skin break out for some people. A professional makeup artist can help you ascertain which products will work for your skin and which will not, making sure that you don’t have itchy skin on your special day. Many brides-to-be make the mistake of assuming that since they apply their everyday makeup, they can handle it on their wedding day as well. Nothing could be further from the truth. Wedding day makeup differs a lot from the minimal everyday makeup that you are sued to applying. It needs to be able to stay on for a long time as well as compliment your wedding outfit. You also need to present the best version of yourself so that the photographs look absolutely stunning. 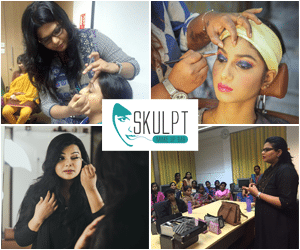 A makeup artist can help you tick all these boxes easily. Every bride-to-be reports having butterflies in her stomach hours before she officially becomes the wife of the man she has fallen in love with. Having your entire wedding look taken care of including the makeup by the makeup artist can help put your mind at ease and will even have you wishing for the wedding day to arrive sooner! Professional makeup artists usually have a session with the bride to be days ahead of the wedding to discuss the exact look that they are aiming for. They will also do it in the presence of natural light to see how your look will translate into photographs on the D-day. So no more sleepless nights for the bride to be regarding how she will look on her wedding day. Makeup artists come in different range depending on their skills and prices. You can narrow one down after taking a look at their portfolio this helps you choose a makeup artist that fits into your budget and makes you look like a million bucks on the day of your wedding.